Failcast is coming at you this week with a super-sized episode, in which we tackle as much of last weekend's drama as possible. 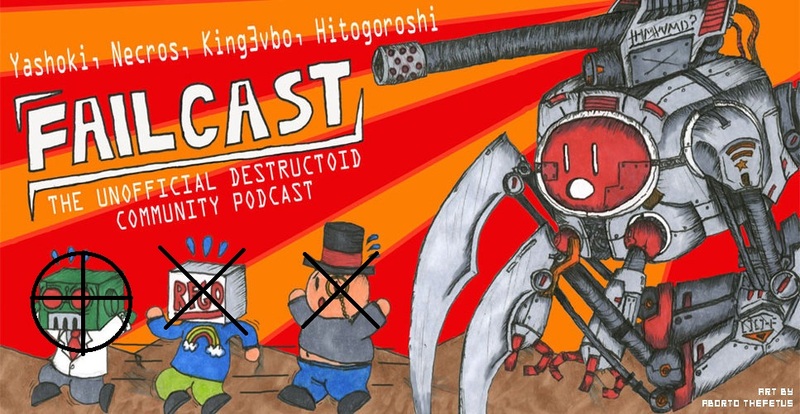 Get caught up about why people were hugging so much and where a few Dtoid accounts disappeared to, then listen as our host Yashoki discusses the current state of the Destructoid community with King3vbo, Necros, long-time absent Failcast member Charlie Suh, and this week's special community guest Itemforty. Dtoid editor Samit Sarkar also drops by the show later in the episode. We recommend you check out Necros' list of resolutions to add some context to the show. Also, we <3 Niero and all the editors, even if Jim Sterling is too tired to come on the show. 40:10 - Where is the line for what is fail and what is not? 71:55 - Why do bans completely remove everything a banned user has done? 79:00 - Surprise guest substitution! If you download just one Failcast this year...well, I guess I'd say listen to this one, but seeing as we're not even halfway through January, that would be very depressing for us.